Mirror mirror (not) on the wall, who is the fairest of them all? 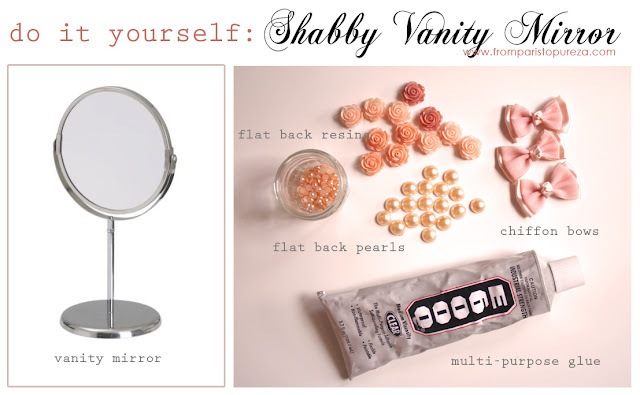 I am just pretty excited to show this DIY project... I took an off from work yesterday to fix my things since it was a total mess than the usual mess, if you get what I mean! And instead of fixing my craft corner, I ended up, ugh, crafting. 1. 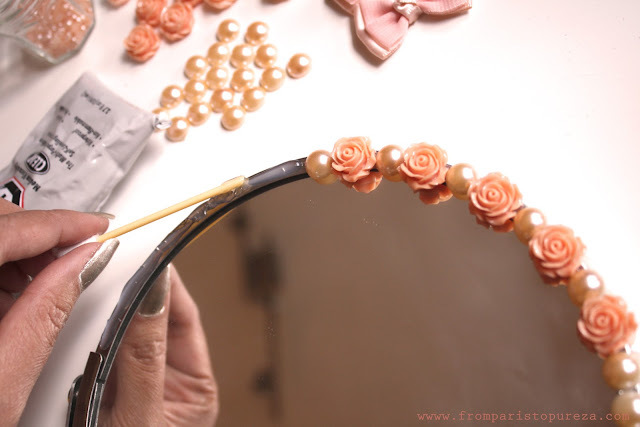 Spread a glue on the frame of the mirror. Be generous enough when putting a glue, and I suggest to use E6000 that you can find in any craftstore. I got mine from Beadaholique, I must say this glue is genius! 2. 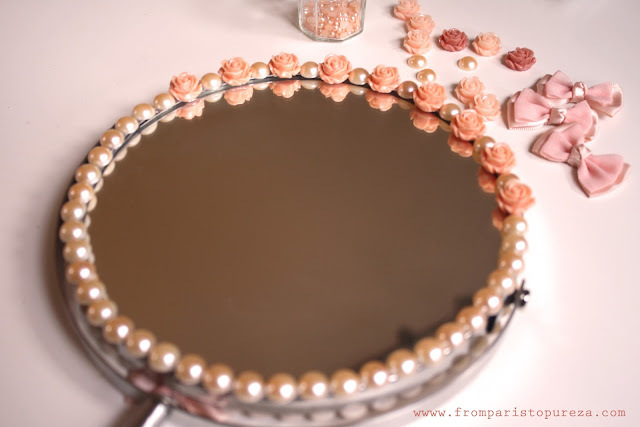 Put on the flat back resins and pearls until it covers the whole frame. 3. There you go, almost done! 4. 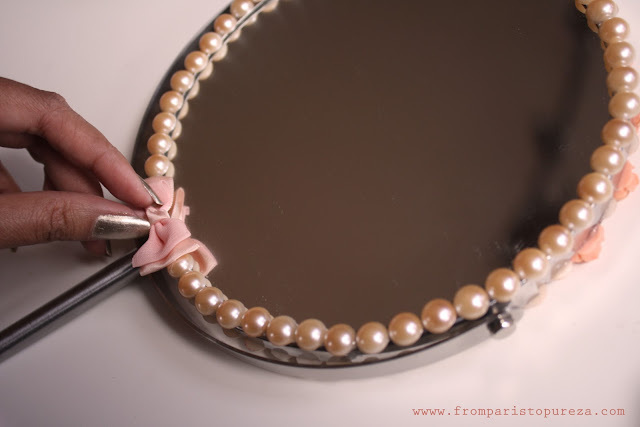 Next, repeat the same procedure on the other side of the mirror - spread the glue, put on the resins and pearls until it covers the whole frame. 5. Put a chiffon bow for a touch of chicness! 6. On the base, don't leave it naked... 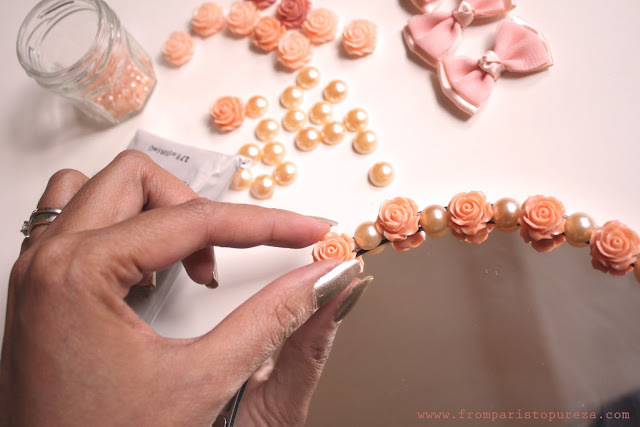 Glue on some pearls too! I love soft, opulent, shabby style decors. 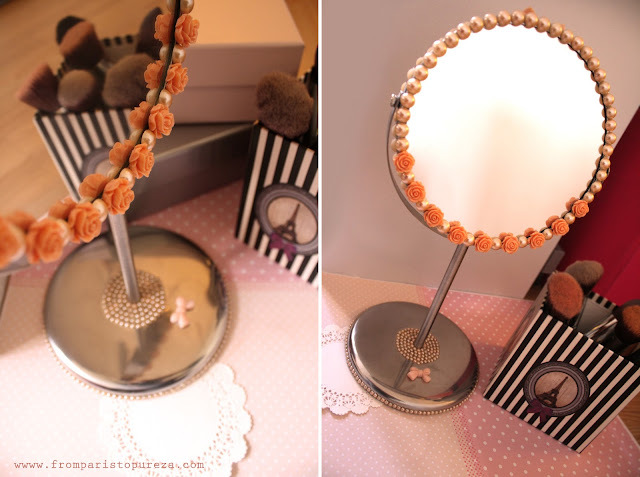 How do you like my "NEW" shabby vanity mirror? 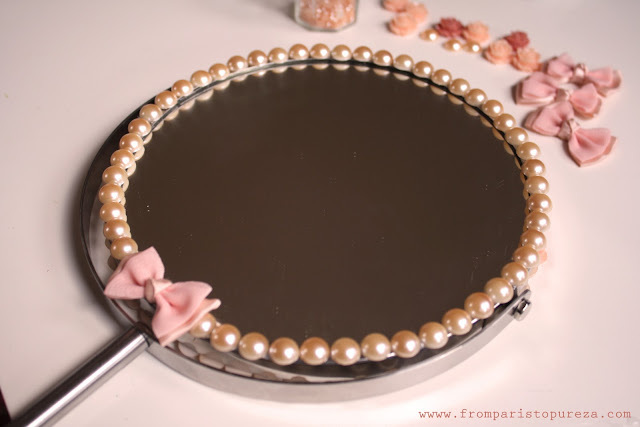 Now it doesn't look like the mirror I bought from Ikea! Hihi!